Most people probably already know that sitting too much is bad for them. Of course, we’re supposed to get up and move around every so often, but who remembers to do that on a regular basis? Some office workers look into standing workstations, but they’re not for everyone. Plus, they cost a few hundred bucks, an outlay that’s probably hard to fit into the budget. Most employers aren’t in a hurry to pay for standing workstations, either. 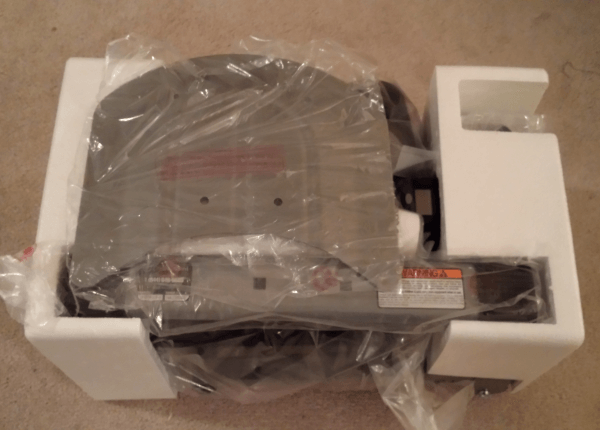 If you’ve considered other options such as under-the-desk exercise machines, you’ve probably seen cheap, flimsy products that look like children’s toys. There’s another option, though – InMovement Integrate Desk Pedals, featuring a sturdy steel frame and overall durable and heavy construction. Plus, they cost only $159.99. 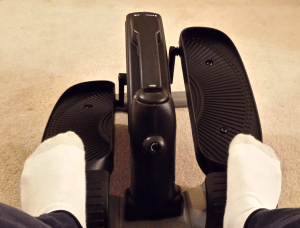 The InMovement Desk Pedals product boasts pedals that can move in either direction for conditioning different muscle groups. Use them under the desk like a stationary bike, or pull them out into the open to use as a miniature standing stepper. Be sure to hold onto something sturdy when attempting to use the desk pedals as a stepper, to make sure you don’t fall while you get the hang of it. The first thing I noticed about the InMovement Desk Pedals was the excellent instructions, written in plain English and complete with illustrations. The product comes with all of the tools, screws, nuts and bolts required to put the whole apparatus together, including a miniature Allen wrench and a small wrench. The nuts, screws and bolts are grouped together how you’ll use them, so you won’t have to scramble to find what you need as you follow through the directions. I’m accustomed to putting together children’s toys that often take 10 to 30 minutes just to remove from the packaging and mostly come with instructions written in what look like hieroglyphics. I was pleasantly surprised that it took less than 15 minutes to assemble the InMovement Desk Pedals. Because the pedals weigh 30 pounds, you probably won’t want to transport them back and forth between home and work on a regular basis. However, the carrying handle makes it easy to carry the pedals around the house or office. They’d be great to have around the house in addition to the workplace, so the whole family – kids included – can get some exercise while reading, watching TV or playing computer games. Tension controls let you make your workout more challenging, though some testers found it hard to operate the pedals at higher tensions. This tended to make the pedals scoot across the floor or carpet. A small display screen shows strides and calories burned. Using the InMovement Desk Pedals as a miniature standing stepper not only gives you a quick workout but also helps increase balance. Balance training is an important part of overall fitness and has other benefits as well, such as helping senior citizens avoid falls. You won’t get the kind of workout on desk pedals that you’d get on standard-sized exercise equipment or by doing a workout video or going for a walk or run. It’s not meant to replace normal fitness routines, but it does a great job of adding a bit more movement to your work day, lunch break or leisure time. 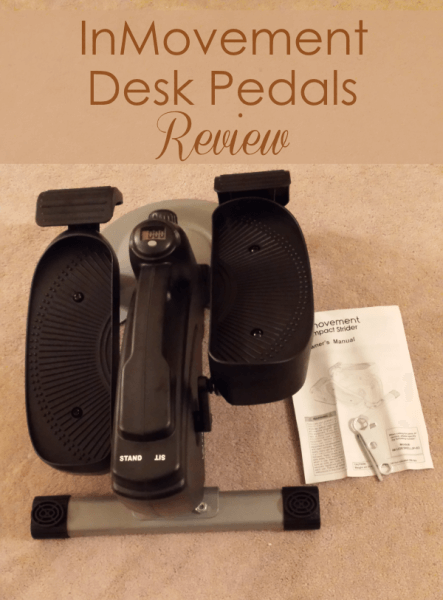 The InMovement Integrate Desk Pedals product measures 24 inches by 18 inches by 12 inches and takes up a fairly moderate amount of space, especially since you can shove it under a table or desk to keep it out of sight. It’s definitely too small to end up as a clothes hanger or junk collector as so many pieces of exercise equipment often do. I received a demo product to use for this honest evaluation. Save 40% Off Sitewide at Gymboree + Free Shipping!